In a warehouse, making full use of your space with extra high shelving or mezzanines might require the creation of a new walkway to access these new areas. Or maybe you have large equipment and tanks that need to be accessed from above. A mezzanine used as a catwalk for your facility is an efficient and affordable solution when your staff needs to get from point A to point B without interrupting the workflow on the warehouse floor. Our mezzanines are a quick, easy, and affordable way to solve any access problem you may have in your warehouse. 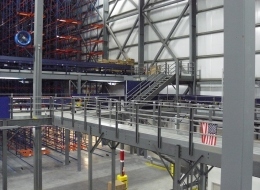 Grace Material Handling specializes in creating access solutions and designing customized mezzanines for our customers. Contact us today to speak to one of our mezzanine catwalk experts. 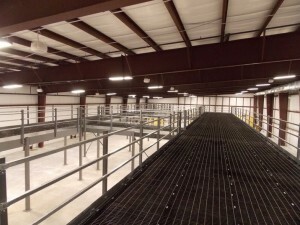 Our engineers will design the perfect mezzanine to match your growing needs.